We have been told that a participant has received a phone call from someone claiming to be part of the organization of the Symposium and trying to arrange flight and hotel reservations. This is a scam. No one from the organization is contacting participants to arrange reservations. Please note that the conference venue has been moved due to the large number of expected participants. The study of globular clusters has fundamental ramifications for a variety of research areas in astronomy including star formation, stellar evolution and nucleosynthesis, stellar dynamics, galaxy formation and evolution. 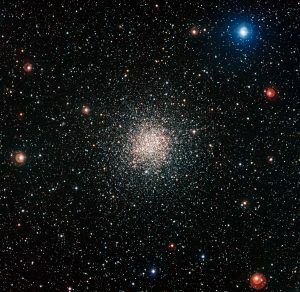 New observational studies continue to raise questions and challenges concerning all the aspects of the astrophysics of globular clusters and clearly illustrate the close link among all the physical processes affecting the formation and evolution of these stellar systems and their possible connection with other star clusters such as nuclear star clusters and young massive clusters. In order to answer these questions and leverage our understanding of globular clusters to make progress in the many related research areas, it is essential to foster communication among astronomers working on all the different areas relevant to the astrophysics of globular clusters. The proposed Symposium will provide a unique opportunity to gather astronomers with a broad variety of expertise for a comprehensive discussion of all the aspects of the study of stellar clusters. Recent results such as the first detection of gravitational waves and the key role dense star clusters may play in the formation of gravitational wave sources, the data release of Gaia data in 2018 shedding new light on the clusters’ internal kinematics, the numerous new HST and ground based spectroscopic observations which continue to reveal an increasingly complex picture of star clusters’ stellar populations are a few examples showing a IAU Symposium on the proposed topics is very timely.